Summary: Today's white bread lacks all the nutrients bread should contain. Whole-grain, healthy breads are the better way to go. Bread has always formed an important part of the human diet. However, with today’s refining of flours and harmful chemical additions to most breads, bread has lost its original meaning and healthful qualities. With a little practice, you can provide highly nutritious bread for your family. Instead of a cooked meal, set your table with home-baked bread, nut butter, avocado, sprouts, home-made jam, honey, healthy peanut butter, a bean or lentil spread for protein, and a large bowl of fresh fruit. If the bread is baked with stone-ground flours, you can rest assured that your family is getting a meal that will supply natural fibers and nutrients in balanced proportions. When making bread, remember that all flours do not absorb the same amount of water. 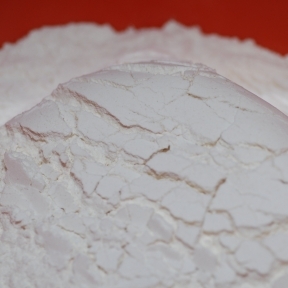 A fine flour will absorb more moisture than a coarse flour. If you decide to add some rye flour, rice, millet, or soy flour, this may affect the moisture balance, and you may have to adjust the amount of water. Always add a little less water than the recipes requires, because you can always add more. Bread baked from stone-ground flour can still be perfectly edible after three days. To save time, bake a number of loaves simultaneously, storing some in the refrigerator and freezer for later use. Remember, however, that each addition to wheat flour will affect the quality of the loaf, and some ”health loaves” can become so dense and heavy as to be a positive health hazard. If a varied diet is followed, there is no need to bake fully balanced meals into one bread, as the other nutrients will be supplied by the other foods you eat.